Home » About Myanmar » Yangon International Airport » Myanmar's First Burger King Outlet to open in Yangon International Airport Terminal 1. Myanmar's First Burger King Outlet to open in Yangon International Airport Terminal 1. It is going to open in Yangon International Airport Terminal 1. Photo from Yangon International Airport facebook page. 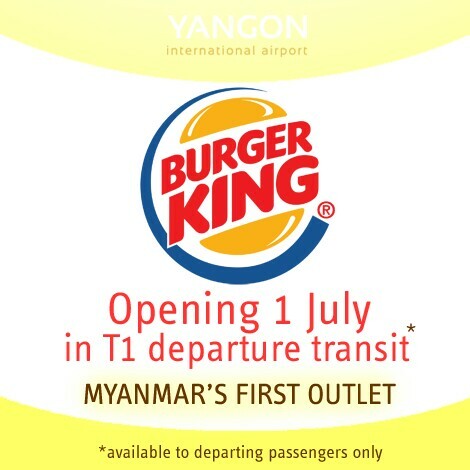 No Comment to " Myanmar's First Burger King Outlet to open in Yangon International Airport Terminal 1. "